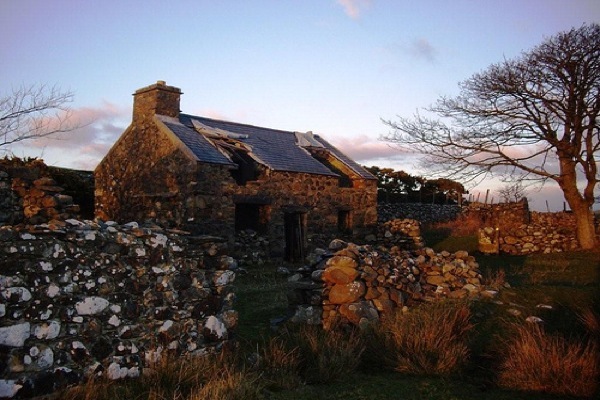 Mae hen wlad fy nhadau — the land of my fathers. Except it’s not, because I’m not Welsh, so why, as people are always asking me, would I want to learn it? Especially when everyone in Wales now speaks English anyway (the days of the odd little old lady in the hills who doesn’t know a word of Saesneg are gone). I learn it because I love the place, because I’m curious, because the sound of it to me is a song and not the ‘spitting’ that people make fun of. It’s songs and anthems, hills and the black slate cliffs down to the ocean. It’s poetry. It has a cadence which I find irresistible, as well as an earthy, real connection to the land and a utilitarian feel. I moved to Cardiff to do a degree in English (“Arse-backwards, just like the Welsh,” grumbles my Irish mother), and along with my literature modules I signed up for a module of Wlpan, two lessons a week as an optional extra in the first year. We went from whispering strange words and trying to remember that ll is a letter of the alphabet and w is a vowel to writing a regular ‘What I did on the weekend’ piece, suitably censored. I got all firsts, the only first grade marks I ever got, and the bilingual road signs and shouting rugby fans began to make a bit of sense. After four years in cosmopolitan Cardiff, I was back in West Wales and immersed in a bilingual area. A Welsh teacher found me shamrocking Guinness and struggling to understand some farmers. 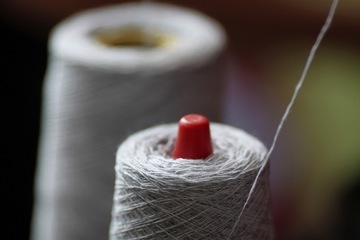 He hired me to work in his traditional Welsh woollen mill — threading spools, winding bobbins and finishing thick rugs made of Welsh wool on hundred-year-old looms that shook the old building. “Arswd y byd!“ (the surprise of the world!) he would shout over the clatter of the shuttle whenever I deflected a shot of dour Welsh sarcasm with a perfectly-conjugated reply, all the mutations in the correct places (Welsh slides together, initial consonants blurring to make it run like a cold Preseli mountain stream). After a few weeks he refused to speak any English to me at all. I remember spinning the bobbins, 30 at once on a machine at least 50 years old, while flipping flashcards and reciting the color and number rhymes taught to primary school kids. I remember reading the Western Mail. I remember tying endless knots in rug fringes, hands soft from the lanolin left in the wool, listening to BBC Radio Cymru, a few words from each sentence penetrating the soft hill fog of the fast, authoritative Welsh. He took me to Rome to watch Wales versus Italy in the Six Nations. I watched the girls from Ponty Yn cael piss in the gutter, the Italians bemused but loving the atmosphere, and I untangled south Walian rhythms while trying to order a Peroni in Italian. I listened to my teacher and his brother, the Minister for Sport and Culture, discuss Welsh politics and Assembly gossip over one of the best Italian meals I’ve ever eaten in a little backstreet restaurant. I got better. I found the courage to speak in Welsh to people who knew I was English and felt inordinate amounts of pride when they spoke Welsh back. I remember transactions in shops, totally simple, but totally understood, and the person behind the counter not even blinking. They think I really can speak it! 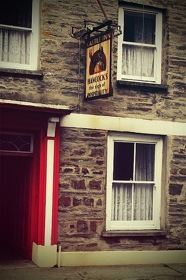 The pub was a great part of thing as it is a great part of rural Welsh life. One of the best breakthroughs was speaking Welsh when drunk and people still understanding me. (I think.) Once I joined in a rousing chorus of Calon Lân (Pure Heart), the most beautiful song in the world, and the Welshies looked at me in surprise (maybe just because I don’t have the Welsh talent for singing!). I remember the utter pain of being totally unable to understand someone. Some Welsh speakers, and not just the ones who speak ‘pro-pur’ Welsh, I can understand just fine, others I have no chance. Their accent, or just something in the way they use the language, loses me. How does that work? Mind you, there are some people I just cannot ‘get’ in any language… Two steps forward, one back. I began to dream in Welsh, which I think is a mark of fluency. The poet in me loves the words, and starts to play with them more. It’s beautiful to find words that really suit their meaning, sometimes better than they do in English. Cariad is the best example — it means love, and the pronunciation renders it a caress in itself. Or cwtch, which has no direct translation, but means ‘safe place’. It’s used like ‘cuddle’ — ‘come here and give me a cwtch’, or ‘cwtch up’. The tiniest house in my village is called Y Cwtch. With Welsh you’re learning mythology, history, folklore, magic, tradition and geography as well as the language. You’re learning the pride of a national identity that was nearly wiped out but is now growing stronger. There’s never an end to learning a language, so I can’t say I’ve learned Welsh, no, not yet.